As you progress in making basketball wagers at America’s Bookie, you are going to find that the pointspreads in basketball are going to move quite a bit more freely than they do in a sport like football. This can occur for any number of different reasons. Of course, one of the most obvious is that of injuries. Oddsmakers must react to injuries and do it quickly. When a player is out of action in basketball, it is 20% of a lineup, and the effect could be quite a bit more than that, depending on how important the player is. For example, the absence of LeBron James from the Cleveland Cavaliers’ lineup would mean much more, as far as the oddsmaker is concerned, than if Tristan Thompson was out. That is an extreme example, of course, In pro basketball (NBA), the injuries have a certain level of effect, but in college basketball it is almost always a bigger difference-maker, so you would see more pronounced line moves in the college ranks, as a general rule. There is no standard way to move a line; when a critical player is out, it is up to the oddsmaker’s judgment as to how much to move it. They will make an attempt to get out ahead of what they anticipate the public’s reaction is going to be. And they will proceed to move the line based on the action they are getting from the public. There are a few things to be said about that. One is that there is really no such thing as a “key number” in basketball, as exists in football, where a high percentage of games will fall on 3 or 7 (meaning the final margin). 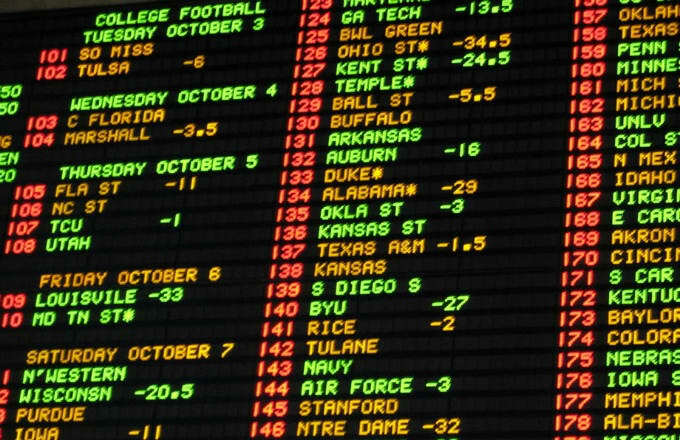 When making a line on football, the sportsbook might be hesitant to “get off” 3 or 7 as its number, meaning that they would rather maintain the number and instead change the price on the two teams, departing from the customary -110. In basketball this doesn’t matter, You’ll find that the frequency of a game landing on any number between, say, one point and ten, is relatively similar. So moving the price is not a major consideration. And lines often move in increments of full points, rather than half-points. When moving the pointspread itself, however, they do like to know what category of customer, so to speak, is giving them excess action on one side or the other. Keep in mind that in general, the audience for betting basketball is more sophisticated than it is in football. And college hoops draws more sophisticated bettors than the NBA. If the sportsbook is overloaded with action from “squares”; that is, members of the so-called general public, it is dealt with much differently than if such action comes from “wiseguys” or “sharps,” who are considered to be very knowledgeable bettors. They often know as much, if not more, than anybody who is making lines. And they command more respect. You may not know whether a line moves because of sharp money, but the sportsbooks do. When there is a disproportionate amount of action in one direction from these folks, and a line adjustment is made, it is known as a “steam” move.